Selecting the right credit card can be quite an adventure. There are a number of different credit cards available to consumers. Cards that help you improve your credit when it’s limited or damaged, cards that can save you money on interest or cards that can earn you rewards. With so many options available to consumers today, it’s best to do your research and find out which card is right for you and your financial situation. Below you’ll find a number of different things to consider while choosing your new credit card. One of the most common fees associated with a credit card, annual fees can be little to none, or can be on the higher side if the card has other added benefits. If you’re considering a credit card with an annual fee, be sure the benefits for that card will outweigh the cost of the annual fee. A credit card that features some type of reward can be quite beneficial. If you’re someone who usually pays your balance in full and avoids interest, a rewards card could be the perfect fit for you and your finances. 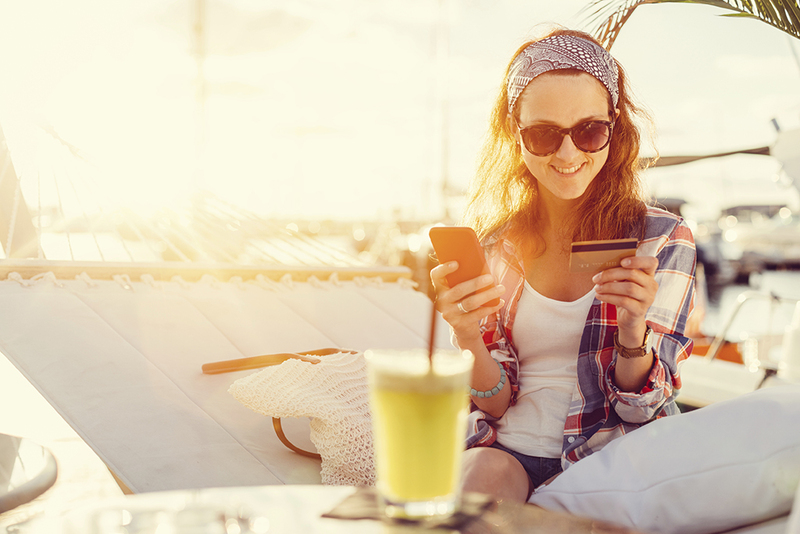 Reward cards tend to have high annual percentage rates (APR) but offer those rewards that can be used for items such as gift cards, airline miles or traded in for cash value. This is the time between when a billing cycle closes and when payment is due. The grace period can provide a little extra time in paying off your credit card balance without incurring interest. Getting yourself familiar with the grace period can help ensure you don’t pay any unnecessary fees. A variable rate on a credit card is often connected to another rate--one that changes with the economy for example. While your variable interest rate can go up and down, a fixed rate is more likely to remain the same. Lenders have the option to adjust a variable rate at any time with notice. Balance transfers can help you pay off existing debt quicker at a lower rate. The key to this is researching terms and balance transfer fees if you plan to take advantage of this. Some credit card providers charge a balance transfer fee—usually 3% to 5% of transferred debt. Late payments can result in fees that can add up over time. In order to avoid these late fees, ensure that you pay at least the minimum amount by the due date. These late payments can affect your credit history negatively. Late payments can also result in what’s known as penalty APR. Penalty APR can be imposed when you miss a payment deadline—even if it is just by one day. A Penalty APR can be as high as 29% on future purchases—which can make the cost of credit unaffordable if needed. At the end of the day, be sure to apply for the card that offers you the highest value in the long run that can help you and your finances. If you have any questions regarding credit cards and how they can help your finances, stop in to any of our branches and speak to one of our team members.